Events are happening up and down the country to send a strong message to the Government that it is time to fix the crisis in teaching. Find your nearest one below. This means freeing teachers to teach so every child receives the personal attention they need to learn and thrive. It means freeing principals to focus on leading and it means ensuring we have enough teachers by attracting more people to teaching, by respecting them as professionals and paying them properly. There will be meetings AND separate actions. Watch this space for more details. Wear bright colours, bring a banner or flag, and be prepared to make some noise! 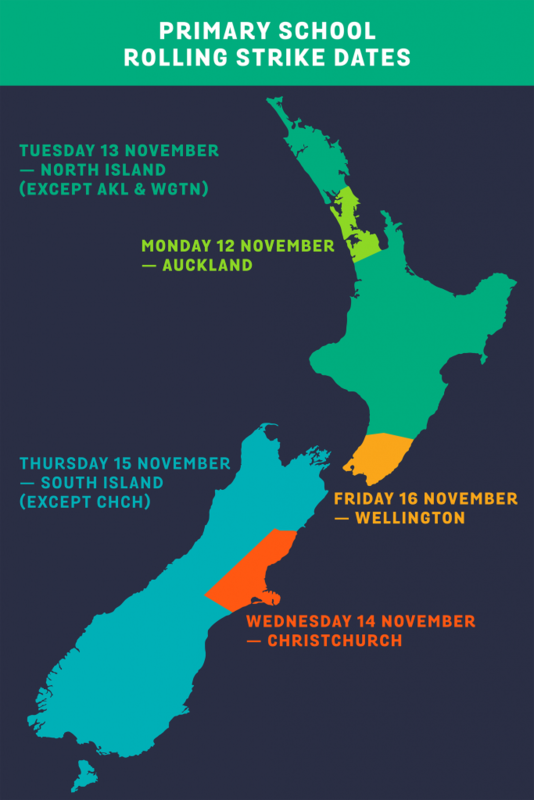 These are fun, family-friendly events for friends, whānau and anyone who cares about education in Aotearoa to show support for our primary teachers and principals. Click here to find out what's happening in your area, including times and venues for meetings and rallies (last updated 4.30pm 9 November 2018).